Beetles belong to the order of Coleoptera and are considered the largest order of insects. As the most common type of insect sitting at over 350,000 species, it can be hard to tell these various insects apart. In order to determine what kind of beetle you have come across, you first check for wings and wing covers, which will be hard and thick for protection. Another old school test that you probably remember from your playground days is if it crunches when you step on it, it was probably a beetle – but try to check on google first before stomping on your new friend. 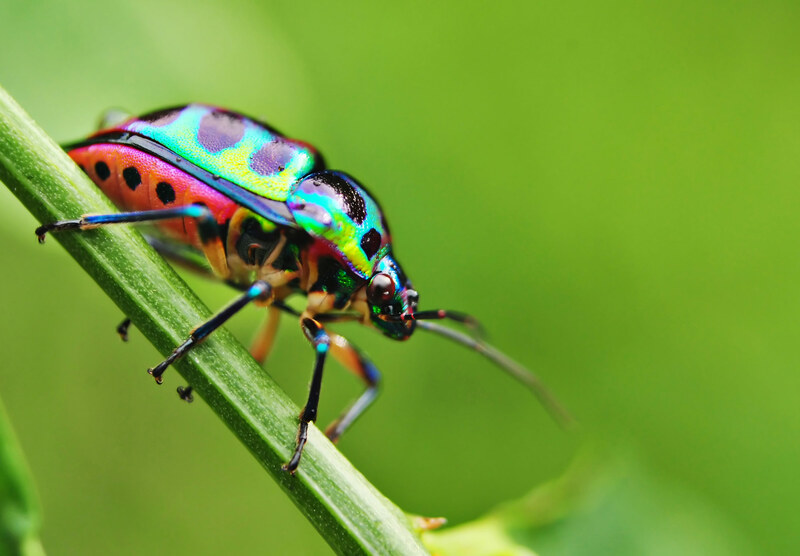 Beetles do not feed on humans, however there are certain types that feed on fabric, food products, and wood. They can damage clothes, crops, furniture, and food. Development and reproduction of beetles vary vastly between types, as some develop quickly and can produce more than one generation a year. Other species can take years to even decades to fully develop into an adult. The amount of time it takes to develop also depends on environmental factors and the amount of food available. Practicing good sanitation, moisture control, and regularly inspecting food can prevent a beetle infestation within your home. Even though beetles do not feed on humans, that can still cause damage to clothes and wooden infrastructures depending on the type of insect. These bugs can also be attracted lights inside or outside the home, causing them to stick around longer than desired. A professional can perform a thorough inspection and identify the type of beetle, as well as come up with a treatment plan. It’s also important to find the route of the problem so these do not return to your home, whether that’s sanitation, moisture, or even reduce the attractiveness of light.